This article cobbles together tidbits of information that exist on Chris DeGarmo's departure(s) from Queensrÿche, so that fellow fans will have a better understanding of the circumstances. The narrative is as close to accurate as the author believes possible, but should be viewed as speculative. That's the two-ton heavy thing...err...elephant in the room, isn't it? To this day, it is still a mystery to some fans, which isn't surprising, considering DeGarmo's public silence on the topic over the years. But the breadcrumbs are out there, and we've put them together to answer the question. The seeds of DeGarmo's departure were planted a lot earlier than most people realize. Once Queensrÿche started to experience mainstream success with the the video for “Eyes of a Stranger” in 1989, the pressure was on for the band to have a smash follow-up to Operation: Mindcrime. As anyone reading this knows, Queensrÿche did just that with Empire in 1990, which went on to sell more than three-million copies worldwide. But during the pre-release promotional press tour for Empire, DeGarmo told then-RAW magazine reporter Malcolm Dome that he worried about becoming like his father, who had abandoned Chris and his family years ago, and expressed doubts about his future with Queensrÿche. Dome kept that material out of his article in July 1990, but released it in “Queensrÿche: The Dark Empire,” which ran in Classic Rock magazine in September 2014. “I'm not sure what I feel about the band right now,” DeGarmo said. “Whenever we finish a record, I think it's time to leave. Or we should split up. I am drained, and fed up. I don't have the energy to deal with the other guys. The enormous success of Empire led to a 18-month support tour of approximately 190 appearances from October 1990-June 1992. The bulk of these gigs were 2.5-hour headline shows, and by the end of the run, everyone disconnected for a much-needed break. Once off the road, however, trouble ensued for many of the band members. As the story goes, there were some dependency issues to overcome, Eddie and Michael suffered through bad investments, and both Scott and Geoff went through nasty divorces. The latter's was particularly rough, as rumor had it Tate was relegated to living on his boat, and DeGarmo helped keep a roof over his head during the time. When Queensrÿche finally reconvened in late-1993 to work on what would become Promised Land, the dynamic had changed in the band. In the past, the spouses and/or families of the band members had often spent time together. But with some relationships over, and new ones started, not everyone got along, and it caused some tension and friction. During the creative sessions at Big Log, whose remote location in the San Juan islands was chosen to help pull the band members together, it was a challenge for Chris to get everyone focused. Members would travel back home frequently, which wasn't the point of being at Big Log. Eventually, they all got on the same page, but the time wasn't drama-free. 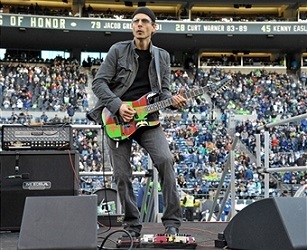 Jackson recounted in a sworn statement in 2012, that during the writing/recording sessions for Promised Land, Tate had verbally abused DeGarmo and made the sessions difficult and uncomfortable. All of that must have been incredibly frustrating for Chris, who often is credited as being the “bridge” of sorts from Tate to the rest of the band. Not only did he have the responsibility to deliver an album to follow Queensrÿche's most successful record, he was also president of the band's corporate business. Everything allegedly fell into DeGarmo's lap to deal with. The 1995 Road to the Promised Land tour was designed to be shorter than the Building Empires tour. However, it wasn't quite as long as most of the members of Queensrÿche wanted it to be. A significant tour was necessary to re-establish Queensrÿche's presence in a market overrun by the grunge movement, particularly after the band's three-year absence from the road. According to rumor, Rockenfield wasn't interested in staying out on the road for long stretches of time, and initially wanted the band to only tour for runs of four-to-six weeks before coming home. That wasn't financially viable for Queensrÿche, however, given the production costs associated with the tour. At some point, a compromise was reached, but not without generating further frustration inside the band. When the tour supporting Promised Land concluded in late July 1995, Queensrÿche once again went dark for an extended period. While they released the Big Log CD-Rom in 1996, it wasn't until March 1997 that a new album (Hear in the Now Frontier) debuted – two years and five months after Promised Land was released. Much more stripped down and raw than its predecessors, Hear in the Now Frontier initially did well on local radio with its first two singles, “Sign of the Times,” and “You.” Things quickly went south, however, when EMI Records, Queenesrÿche's home since 1983, closed its doors. QPrime, which had managed the band since 1988, then dropped Queensrÿche, leaving the guys with a new record, but no support whatsoever. Whatever marketing the band had been receiving stopped, and they were on their own. Faced with a sink-or-swim proposition, Queensrÿche soldiered on and self-financed a support tour for Hear in the Now Frontier which saw them playing roughly the same venues as Promised Land, consisting of outdoor amphitheaters and small arenas. Unfortunately, those venues were halfway full. Bad attendance and lackluster album sales put the band, and specifically DeGarmo, at a crossroads. So many different factors collided in summer 1997 that would drive any band leader crazy. In addition, there were rumored disagreements with Tate's new wife, and how she had handled the band's fan club after taking over for Metal Sushi (Martha Wilton, Michael's mother). Because not everyone got along or saw eye-to-eye with Susan Tate (who Geoff married a couple years prior), that caused some rumored strife between Chris and Geoff. On top of that, scuttlebutt surfaced that DeGarmo's family life was suffering due to the stress Chris had been bringing home as he tried to support the band and navigate all of their problems. Combine all these issues with the fact that the band allegedly left it up to DeGarmo to find a new manager and another label for them, and you can see how Chris may have been pushed over the edge as he contemplated his future with Queensrÿche. After the Hear in the Now Frontier tour, DeGarmo, with everything on his shoulders, simply up and quit. He didn't act rashly. Apparently he thought about it for a good month or so before letting the other members of Queensrÿche know he was leaving. He stayed on through the end of 1997 to fulfill South American touring commitments. But once those were over, so was Chris' tenure with the band. 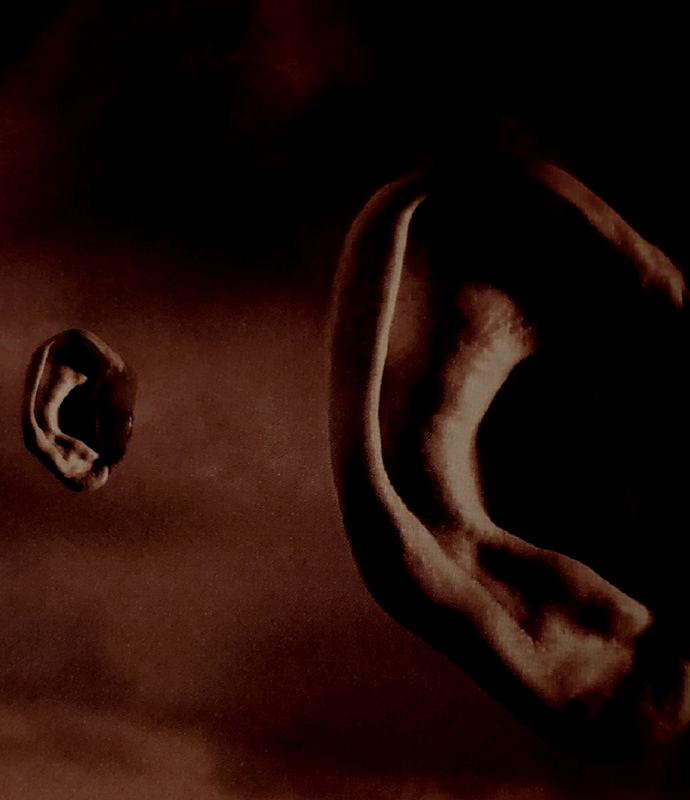 Fans wouldn't find out until an announcement was made on Queensrÿche's website in early 1998. If much of those rumored issues are indeed true, it is pretty obvious why Chris quit the band. He was simply fed up with dealing with all the personalities, drama, and not getting the type of help he needed from his band mates, and it was impacting both the business and personal sides of his life. 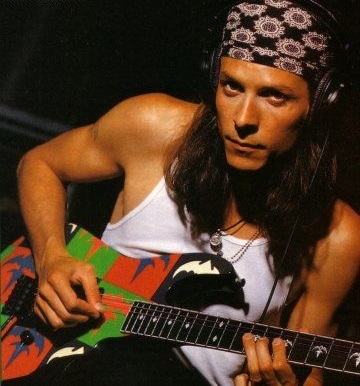 While Queensrÿche recruited Tate's former MYTH band mate Kelly Gray to take over for DeGarmo, Chris went on to tour with Alice in Chains guitarist Jerry Cantrell on his first solo tour in support of Boggy Depot in 1998. In addition, DeGarmo covered his old tri-ryche tattoo, symbolizing to many fans that he had indeed moved on from Queensrÿche. “Unfortunately, the reunion was short-lived. Amid a flurry of speculation, it was announced that DeGarmo had decided to once again leave the band. It should be noted that it had never been formally announced Chris had rejoined the group, only that he was working with his band mates in the studio and was going to perform on Queensryche's European tour in support of Tribe. It stands to reason, however, that because Chris participated in a lengthy photo session for the album and he left with one song partially recorded, there could have been a more long-term, permanent reunion in the works. Rumors persist to the current day that some of the same factors that led Chris to leave in 1997 came back again, preventing his return to the band full time. The claims regarding Tate's supposed unwillingness to work with DeGarmo on his vocals essentially boil down to an alleged power play by the Geoff and Susan Tate. 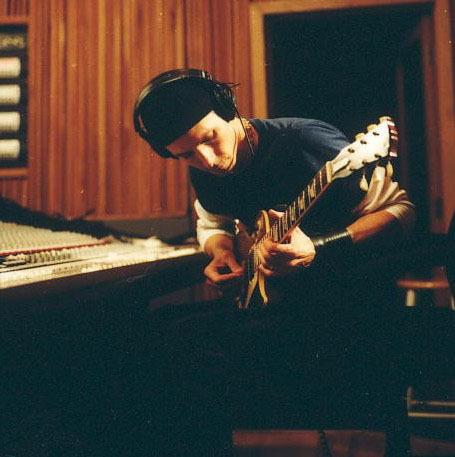 As the story goes, on past albums Chris would always work with Tate on vocals, experimenting with different approaches to find the best delivery for the song. Tate, however, had called the shots on his own vocals since Chris had left in 1997, and Susan Tate fanned the flames a bit, allegedly pushing Geoff to strong arm DeGarmo into letting Tate do what he wanted, and tell him that Queensrÿche now operated differently. That attitude supposedly soured Chris, who packed up his gear and left the studio, and Queensrÿche once again. 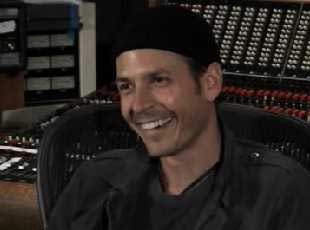 As most reading this know, Chris ultimately co-wrote the music to the songs “Open” and “Desert Dance” with his band mates, and brought in “Art of Life,” “Falling Behind,” and “Doin' Fine,” to which Geoff wrote the lyrics to. That ended up being the extent of DeGarmo's contributions to Tribe, which was, as many have described, an unfinished work, the release of which was delayed several times after DeGarmo departed. A few more years would go by before Chris' name would surface again regarding a reunion. During this time, Queensrÿche had experienced moderate success with the 2006 release of Operation: Mindcrime II. That album, as many fans know, mostly written by the album's producer, Jason Slater, along with touring guitarist Mike Stone, and Geoff Tate. It capitalized on the Operation: Mindcrime name and did well on the charts, which got Queensrÿche back on the industry's radar. DeGarmo reached out to Queensrÿche in late 2006 or early 2007, as the band was putting together a retrospective album titled Sign of the Times: The Best of Queensrÿche. On that 2 CD set is a track called “Justified,” which had been partially recorded in the Tribe sessions, and then finished up in 2007 by DeGarmo. The track was mixed by Terry Date, famed producer of bands such as Pantera and Soundgarden. According to sources, the brief project led to discussions about Chris rejoining Queensrÿche. As the story goes, QPrime inquired about managing the band again, and DeGarmo was up for reuniting, as long as the group was committed to investing money in good management and hiring a well known production team to create a world-class album. It was at that point where the reunion discussions skidded to a halt. Queensrÿche had made Operation: Mindcrime II on the cheap, and had recouped all their recording expenses within weeks of the album's release, making Operation: Mindcime II an immediate money-maker for the band. In addition, by having Susan Tate as the band's manager, Queensrÿche saved a lot of overhead costs. Simply put, the group was not interested in spending money to sign with a high-powered management company again, and using a highly regarded but expensive production team was a non-starter. In a nutshell, that frugal approach, while financially sound in the short-term, won out over a long-term plan that required a bigger investment and risk, but could have ultimately catapulted Queensrÿche to an even higher level of stability and profitability. Once informed of the band's choice, DeGarmo walked away. Over the next several years, Queensrÿche's profile steadily decreased, as subsequent album sales and chart debuts plummeted through a series of artistic and business mis-calculations. Ultimately, the band's name and reputation were run into the ground, leading to a nasty breakup and lawsuit between Tate and Jackson/Rockenfield/Wilton in 2012. While that statement is positive, it was written several years ago, and the possibility of any original lineup reunion grows less likely as the years pass by. Wilton has said that he and DeGarmo continue to see each other periodically and play golf together. An acquaintance of mine, who knows them both and plays with them, has confirmed this is accurate. DeGarmo and Wilton are close friends, and do hang out as time permits (DeGarmo is a full time pilot). But while Tate, Wilton, Jackson, and Rockenfield have met and exchanged pleasantries over the past year while at a festival with their respective bands in Europe, that's a far cry from putting their issues aside and getting back together. My guess is Chris' reluctance to get back in the saddle is partially due to him understanding that any appearance or collaboration with one side would ultimately damage his relationship with the other side, and further taint the Queensrÿche name. He's just not going to do that. But by taking a patient approach all these years, DeGarmo has left the door open for a final bow, if the right opportunity presents itself for the original lineup of Queensrÿche to come full circle. I wouldn't hold my breath for Chris' return outside of that scenario, but with enough time and water under the bridge, anything is possible.